Setting up a business in the modest shed has been a time honoured practice for years but it’s only with the high quality sheds, like you’ll find at Shed City, that business owners are able to custom design a true home office or business. With added security features to keep your valuables safe, weatherproofing to protect business assets and the ability to create a comfortable work space that can even include windows, glass sliding doors and verandahs, this has become an even greater viable option for home businesses. With the ability to run phone lines and power to your garden shed, you can set up an office space to run your business or work from home. Weatherproofing protects your computer, printer and printed work stored in the shed and it’s a comfortable environment for you to work and deal with your clients. You can even equip your shed for home meetings with clients that will give off a perfectly professional vibe. 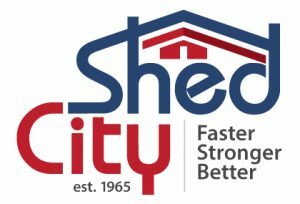 Shed City has available insulation options from all the major suppliers and can readily provide information about insulation products to suit your needs. There is a big trend for running retail businesses from your home shed and you can easily customise a new shed to fit your needs. Whether it’s a beauty therapy business, hairdressers or even a retail store selling any form of stock, there’s a custom shed at Shed City to fit your needs. Made from high quality steel materials and with cost effective insulation and solar products to fit out your shed, you can set yourself up to run just about any retail facility. Imagine how much you’d save by paying zero rent on your retail outlet or business! If you’re running a retail business online then there is always the issue of where to store your stock. You need to have it on hand to be sent to customers when an order is placed, ensure that it is protected from the elements and find a storage option that’s not so costly that it will eat up your profits. Garden sheds are perfect for safely storing stock for online businesses and will keep it secure and protect it from the elements. Plus you can get any size you want custom made and even insulated and have large door openings for easy access all to suit your specific needs. If you’re looking for a high quality, comfortable and secure steel shed for your home office, retail business or as storage for stock, then contact us at Shed City and we’ll custom design a shed to suit your personal requirements. Call today!